This poster summarizes research done in Baltimore, Washington D.C. and San Francisco in Summer 2017. 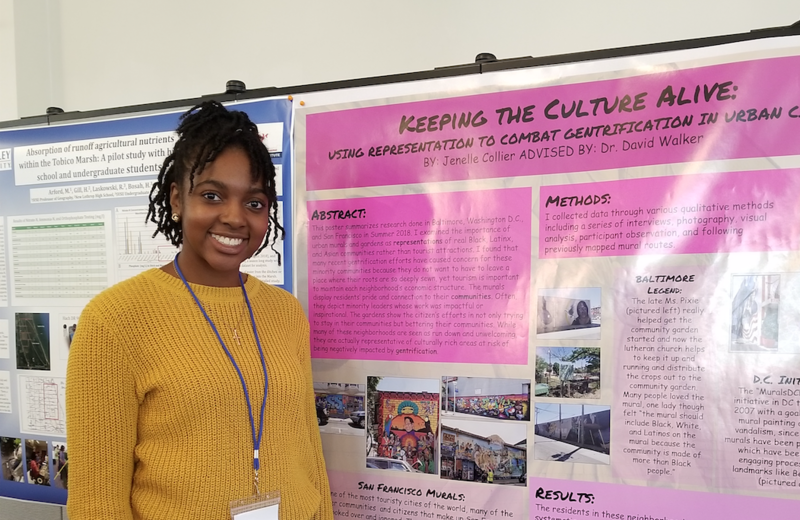 I examined the importance of urban murals and gardens as representations of real Black, Latinx, and Asian communities rather than tourist attractions. I found that many recent gentrification efforts have caused concern for these minority communities because they do not want to have to leave a place where their roots are so deeply sewn, yet tourism is important to maintain each neighborhood’s economic structure. The murals display residents’ pride and connection to their communities. Often, they depict minority leaders whose work was impactful or inspirational. The gardens show the citizen’s efforts in not only trying to stay in their communities but bettering their communities. While many of these neighborhoods are seen as run down and unwelcoming, they are actually representative of culturally rich areas at risk of being negatively impacted by gentrification.